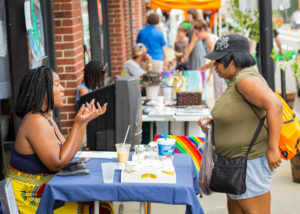 Neighborhood Network's mission is to create a unified voice to renew our community. 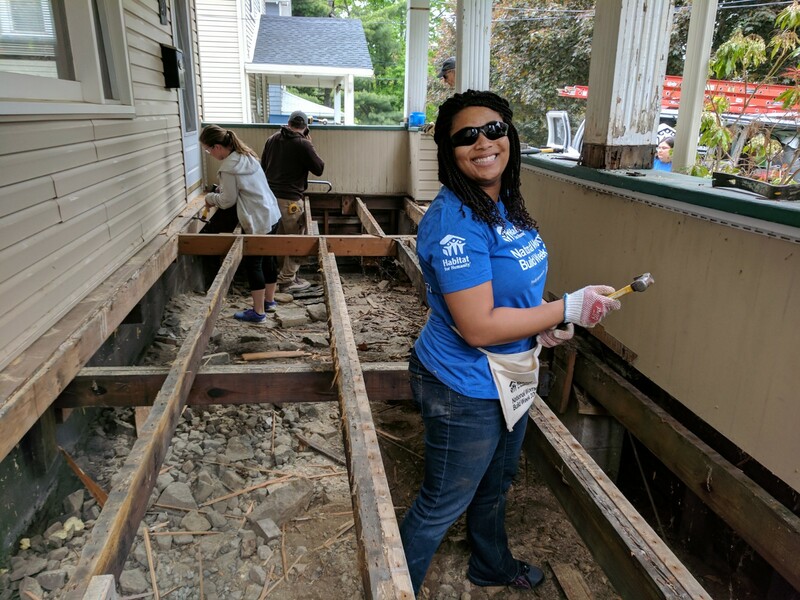 From larger community events to artistically boarded up houses painted by volunteers, we are so inspired by the work neighbors put in to better their community. 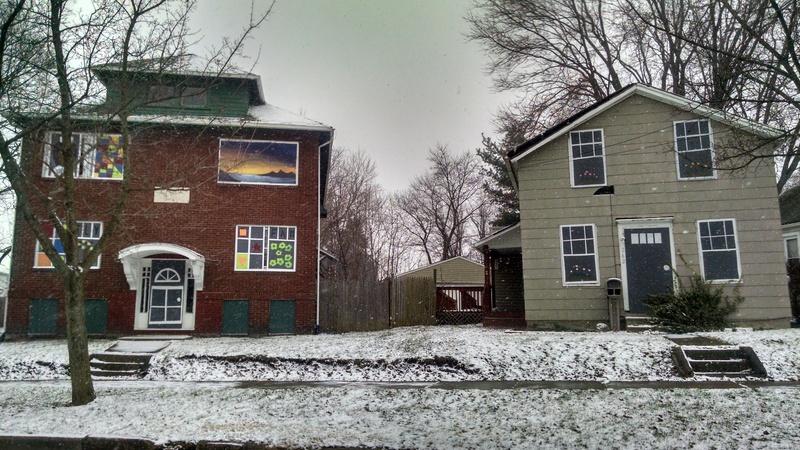 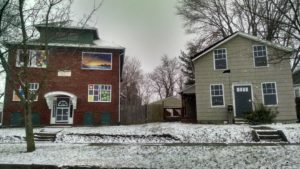 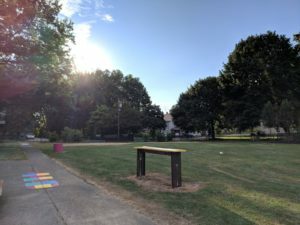 Let’s take a look at just a small sampling of the great work that has happened in Middlebury and University Park over the years to get motivated for the work to come. 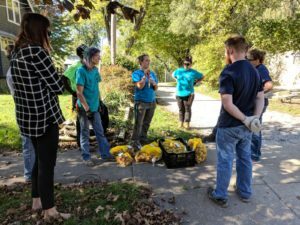 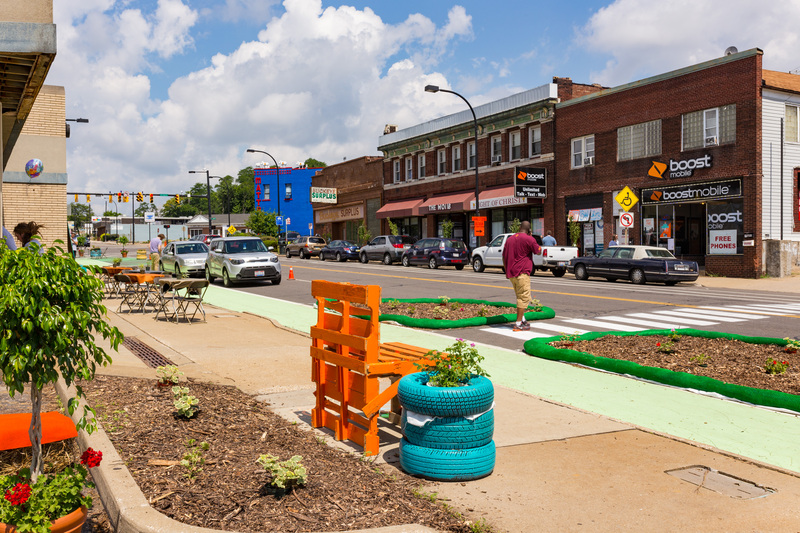 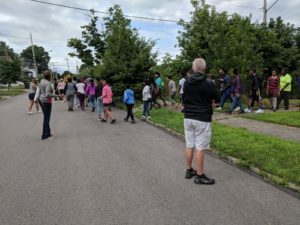 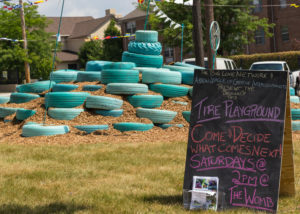 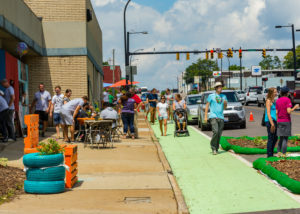 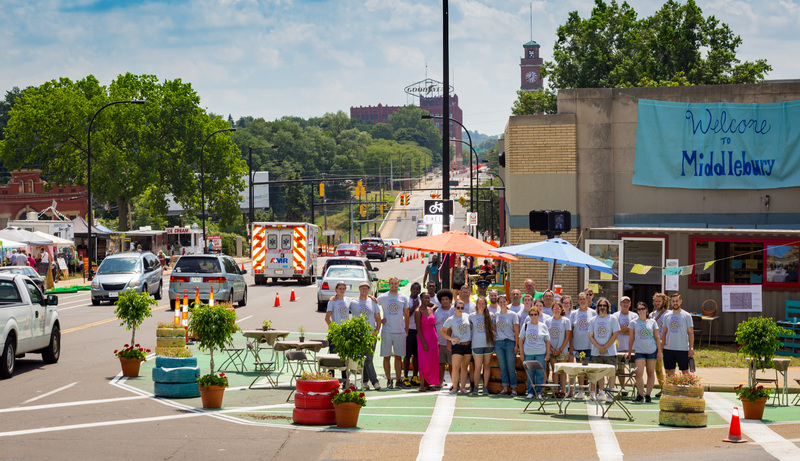 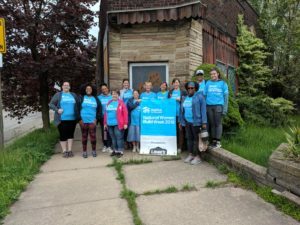 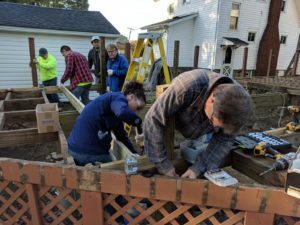 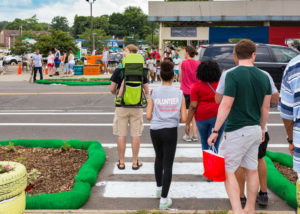 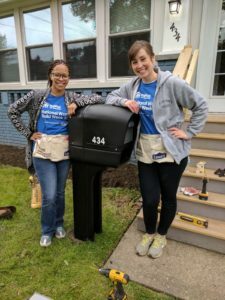 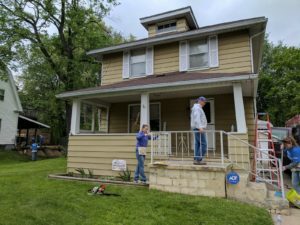 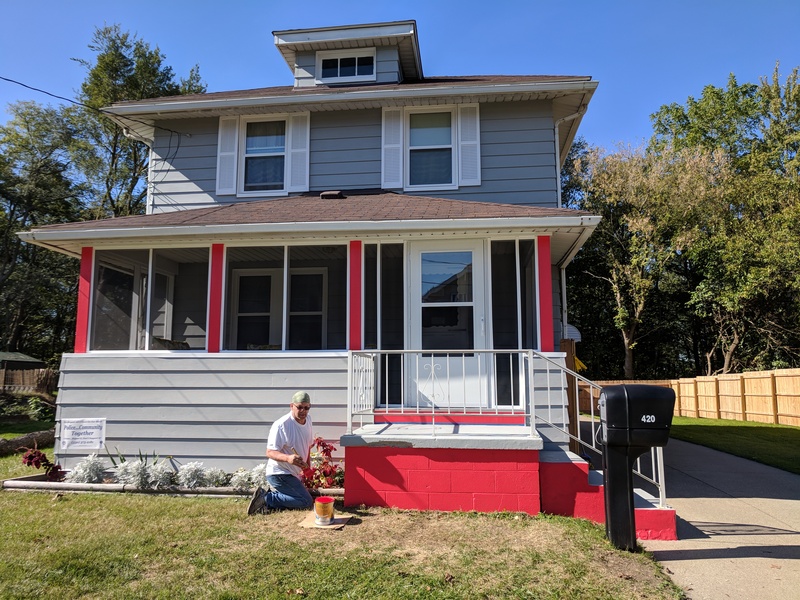 In the past year and a half we have organized 164 volunteers and multiple community organizations to participate in three rounds of our program “Neighborhood Reborn” on Bettie and Johnston Streets in the Middlebury neighborhood of Akron! 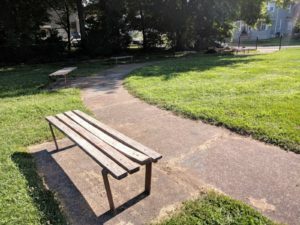 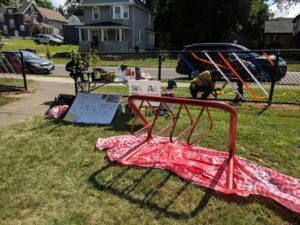 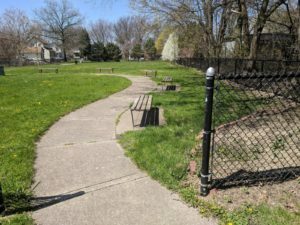 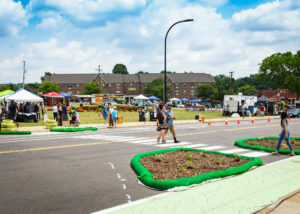 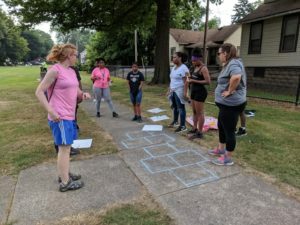 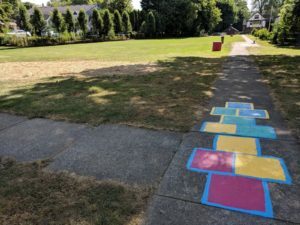 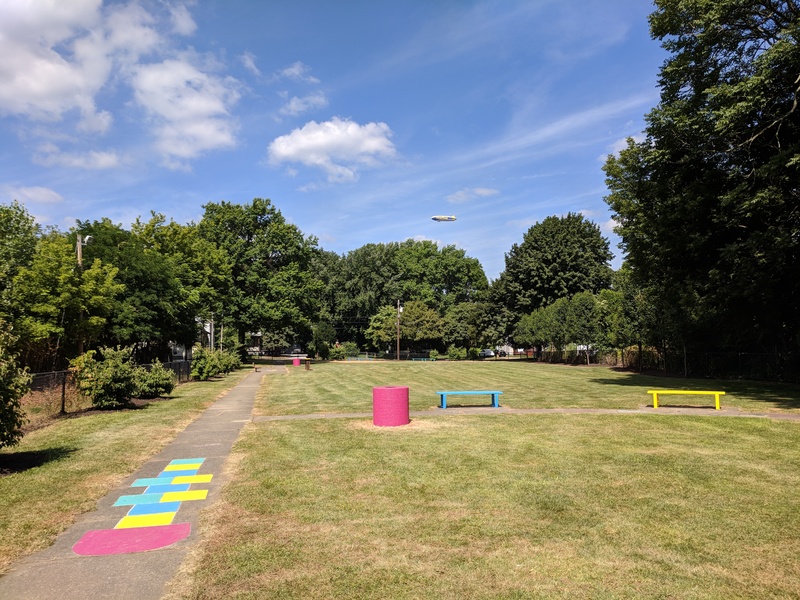 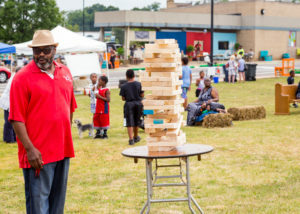 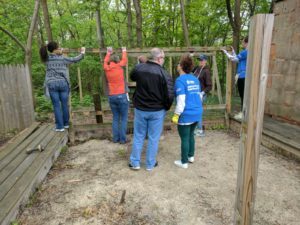 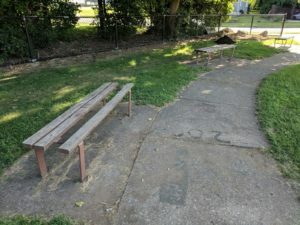 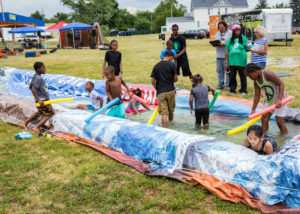 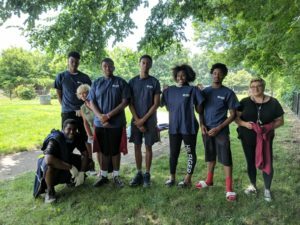 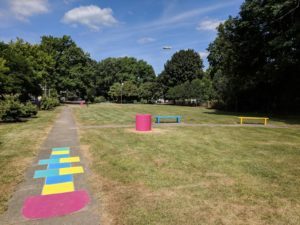 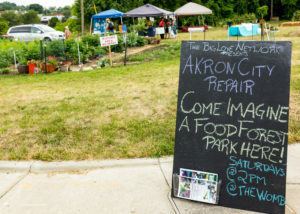 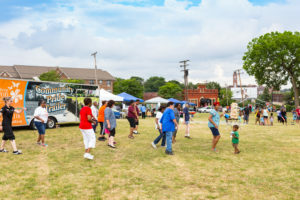 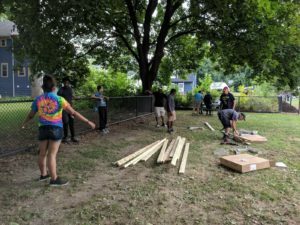 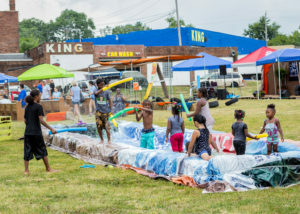 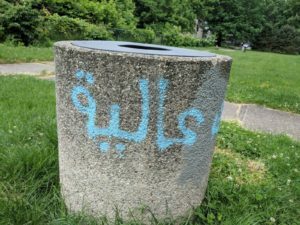 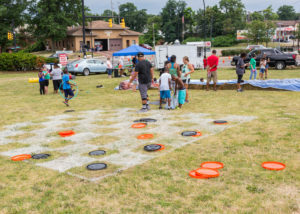 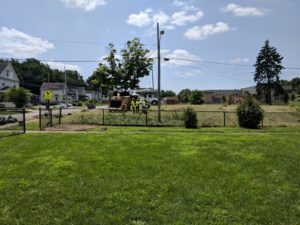 In partnership with Akron Public School’s Pathways to High School Success Program and the City of Akron, Neighborhood Network Revitalized Boss Park in the University Park Neighborhood. 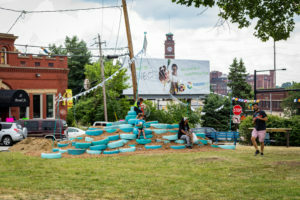 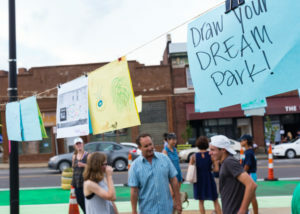 Groups from four high schools (Kenmore/Garfield, North, East, & Buchtel) designed a plan for the revitalization of Boss Park and picked their favorite design to install. 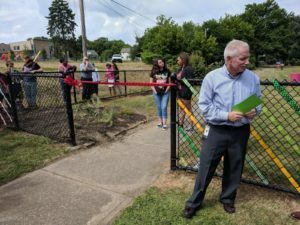 On Tuesday, July 17th, the students installed the design and on Friday, July 20th they hosted a ribbon cutting ceremony to present the renovations to the community. 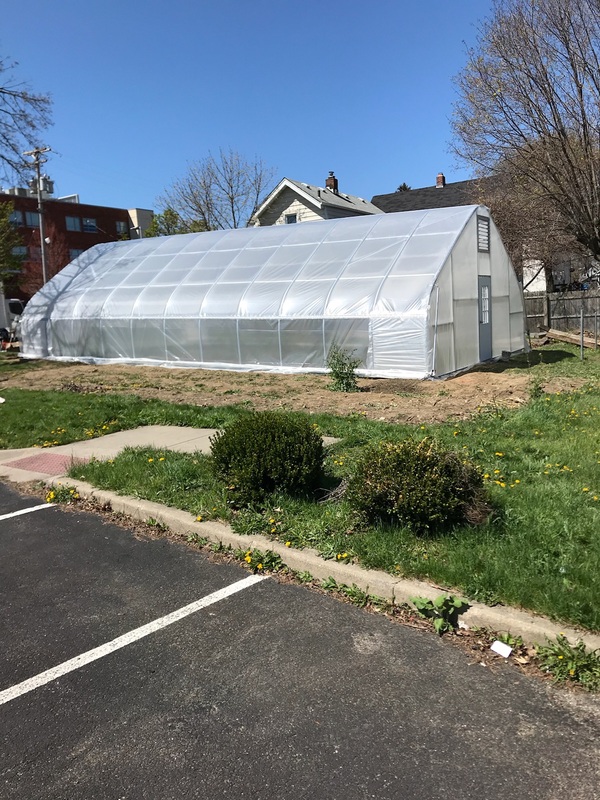 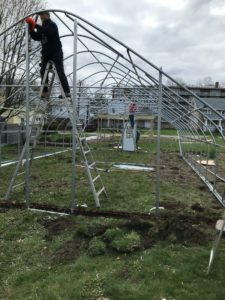 The Community High Tunnel (along with the fence, shed and raised garden beds) was constructed in the spring and summer of 2018 with urban agriculture funds granted to Neighborhood Network from United Way of Summit County. 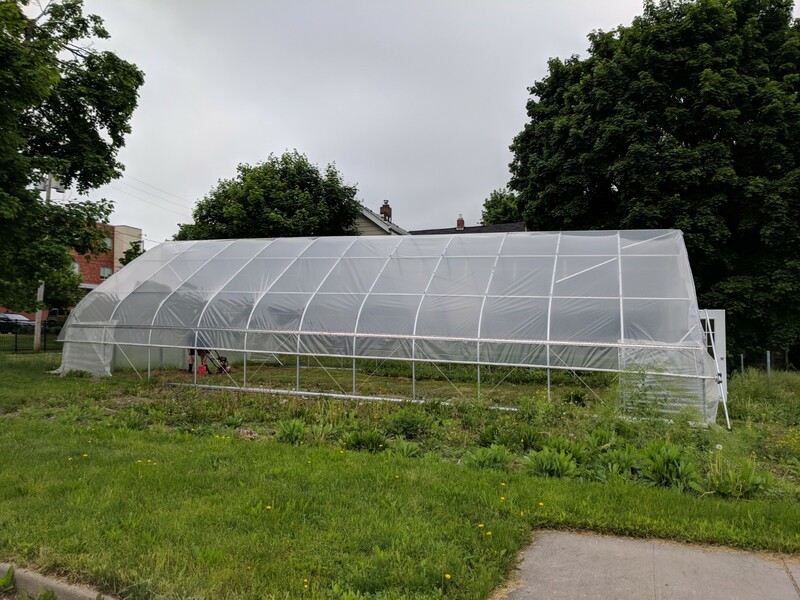 The high tunnel (similar to a greenhouse) is constructed in the Well Community Development Corporation’s backyard at 647 East Market Street. The high tunnel is meant to be used as a neighborhood resource (training area, community space, season extension, etc.) 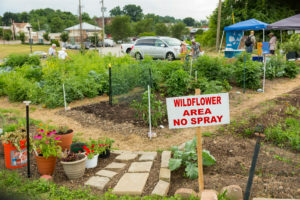 for community and individual gardeners in the Middlebury and University Park neighborhoods. 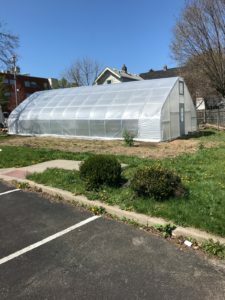 Learn more about the High Tunnel – including how to use this neighborhood asset – from The Well CDC. 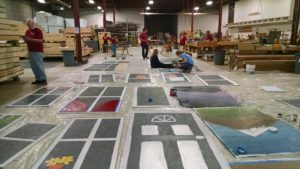 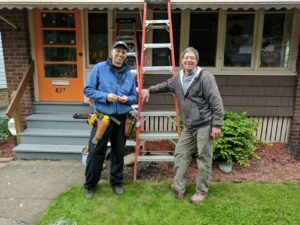 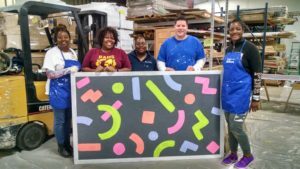 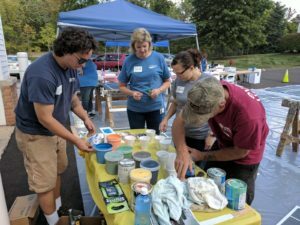 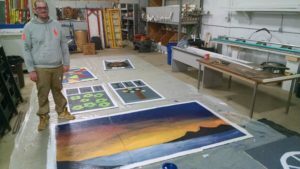 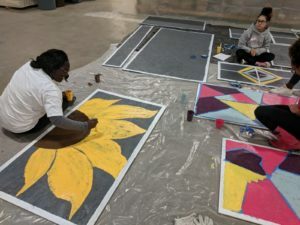 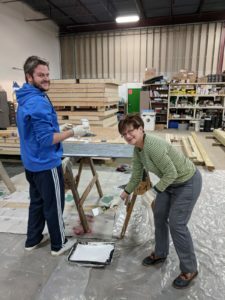 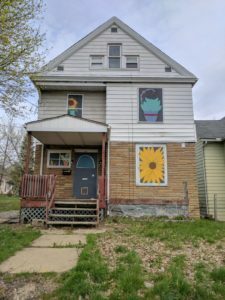 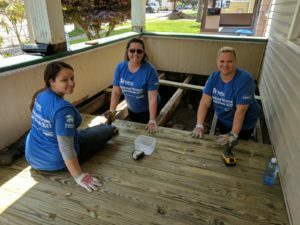 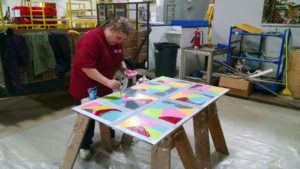 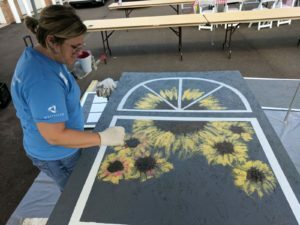 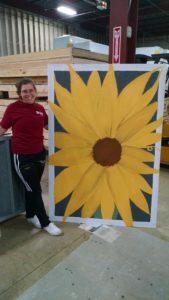 To beautify and secure dilapidated houses in the Middlebury and University Park neighborhoods, Neighborhood Network uses paint, plywood, and community volunteers to turn vacant eyesores into artistic neighborhood assets. 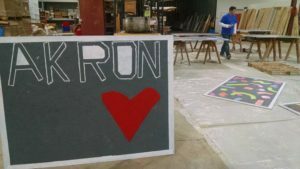 To date we have completed 32 Artistic Board Ups in the two neighborhoods. 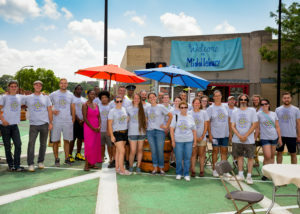 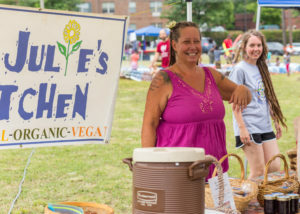 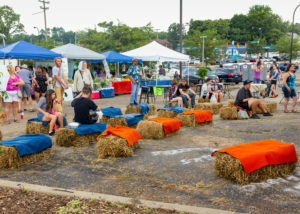 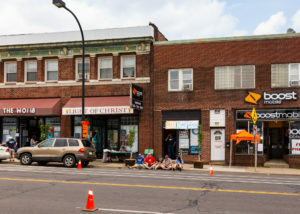 With funding from both Knight Foundation and Jilly’s Music Room and the support, guidance and hardwork of over twenty community organizations, businesses and stakeholders, Neighborhood Network facilitated the Middlebury Better Block on July 30th-31st, 2016 at the intersection of East Market, South Arlington and East Exchange Streets. 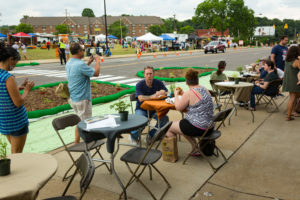 The Better Block was a way to transform the intersection into a walkable, vibrant district for a weekend. 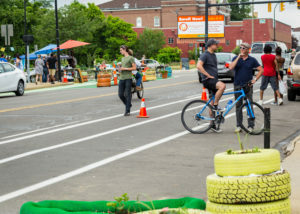 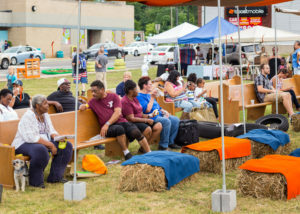 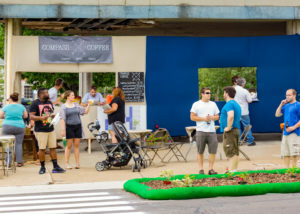 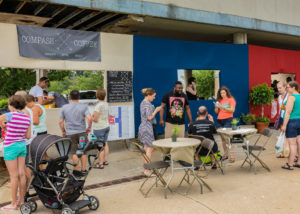 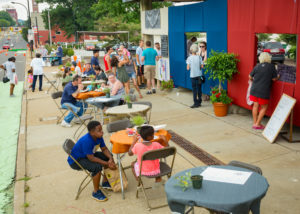 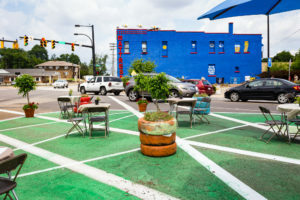 Community-built installations included outdoor seating, temporary plazas, food trucks, kids’ play areas, community garden, live entertainment and improved bicycle and pedestrian infrastructure. 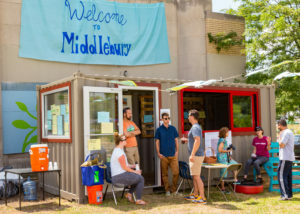 Since the Middlebury Better Block, most of the participating organizations continue to meet monthly as part of the What’s Next Committee which was formed to address the common question “What comes next after the Better Block?”. 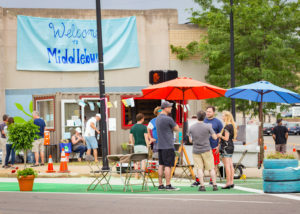 The What’s Next Committee created The Middlebury Neighborhood Survey in 2017 and collected input from 211 residents and community stakeholders. 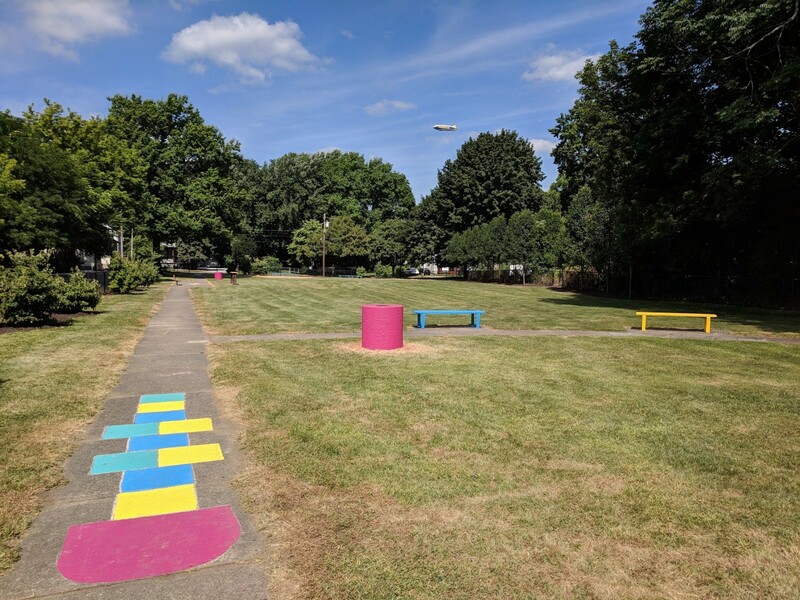 The analysis and final report which was completed in November 2017 can be viewed HERE. 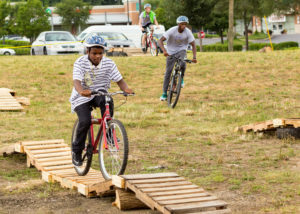 Below are some pics from our Success Stories. 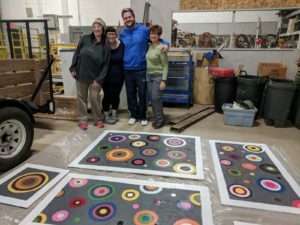 To view, just click on them below.